“You agree that you will not modify, copy, reproduce, sell, or distribute any content in any manner or medium without permission." Well, I went to Mayo this morning and had the pH probe test done. I sat down and the nurse explained the test to me. 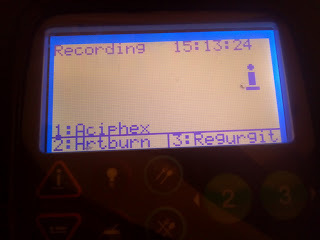 The probe will test my vomit for bile, stomach acid, regurgitation, etc. This test will help the doctor determine how best to treat me. She had me sit facing her while she inserted the small catheter into my nose, down my throat, and into my stomach. She didn't use any numbing agents or anything before she put the catheter in. My eyes watered like crazy and she gave me water to sip on while she was inserting the catheter, to make it easier for me not to gag. Once the catheter was in, the nurse secured it with tape. However, I do not believe it's secured that well because the tube tends to move in and out of my nose with every bump in the car, swallow, or movement. It's going to take some getting used to. 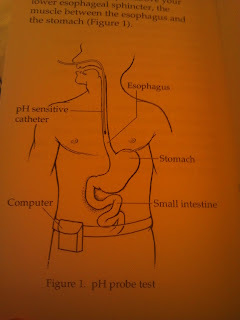 Illustration of where the pH Probe goes. The nurse told me that I needed to take in three meals to ensure an accurate test. I'm not able to eat that much on the best of days, so this is going to be a real challenge for me. She gave me a receiver that I have to wear, much like the Bravo Test that I had before. 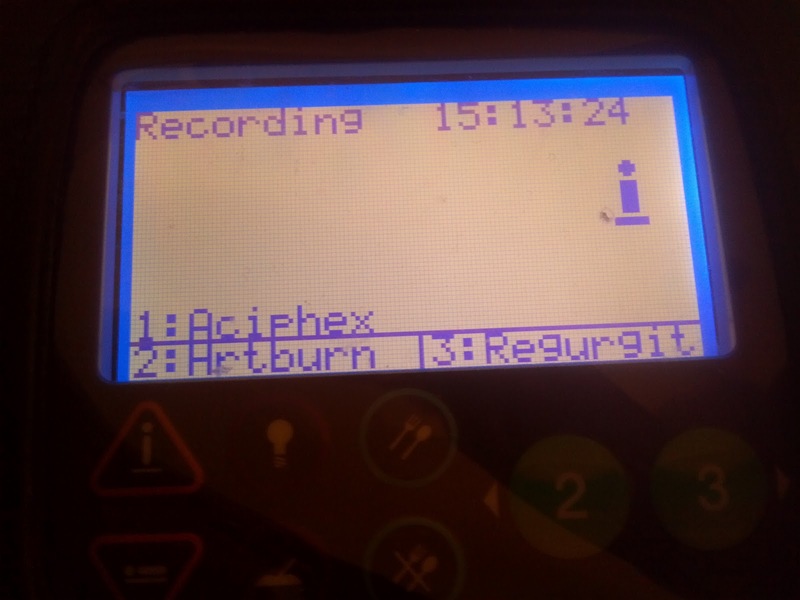 The receiver has three buttons that I need to press when I take my Aciphex, if I have heartburn, and if I experience regurgitation. 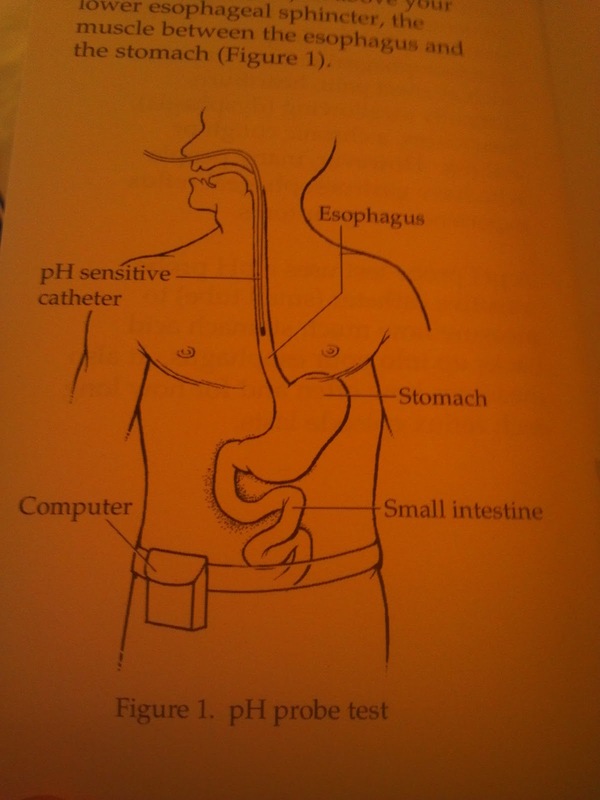 I have to press another button when I eat and when I finish eating as well as when I lay down or up and about. 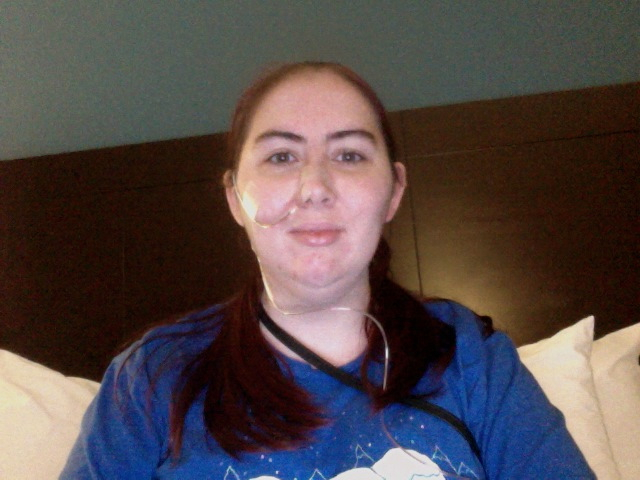 The catheter is attached to this receiver, so I can't leave it on the bed or anything. I MUST carry it with me. The receiver I have to carry with me. 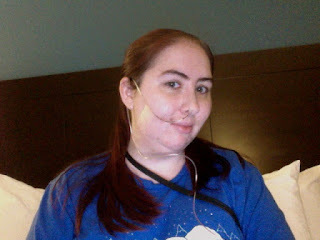 So, I will wear the pH probe until tomorrow morning. I've got to eat in the morning, which will be difficult because that's when I'm the most sick. The nurse said she'd take it out before I see the doctor in the morning for the results. My nose is really irritated and I keep sneezing. The tube keeps gagging me but other than that, it's not to bad. I prefer the Bravo Test though. Emily R. Scherer. Awesome Inc. theme. Powered by Blogger.